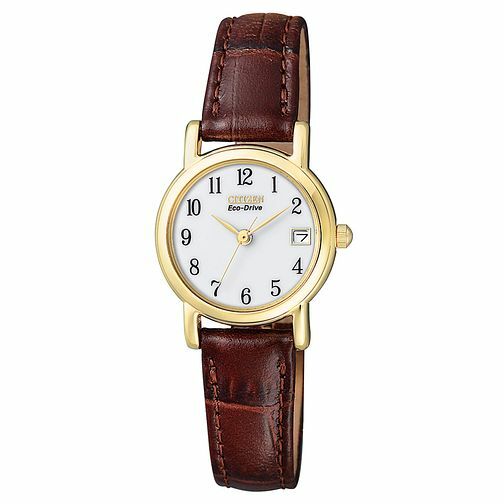 Citizen Ladies' Gold Plated Brown Leather Strap Watch. Citizen watch featuring brown leather strap and gold plated trim surrounding round white date dial. A classic ladies' design from Citizen, team with an office outfit for smart styling or with floral tea dress for a vintage inspired look.